Today we are traveling to Tampa and tonight we will attend a progressive dinner party to celebrate the New Year. Here's What I'm Wearing on the roadtrip: I borrowed the garnet gingham shirt from my husband's closet and paired it with the Talbot's crewneck and a pair of leggings. The ballet flats are from The Gap. 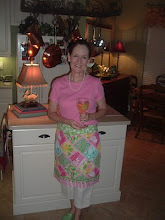 HERE'S WHAT I'M WEARING this evening: The Lilly Pulitzer "Janice" dress is fast becoming my favorite! 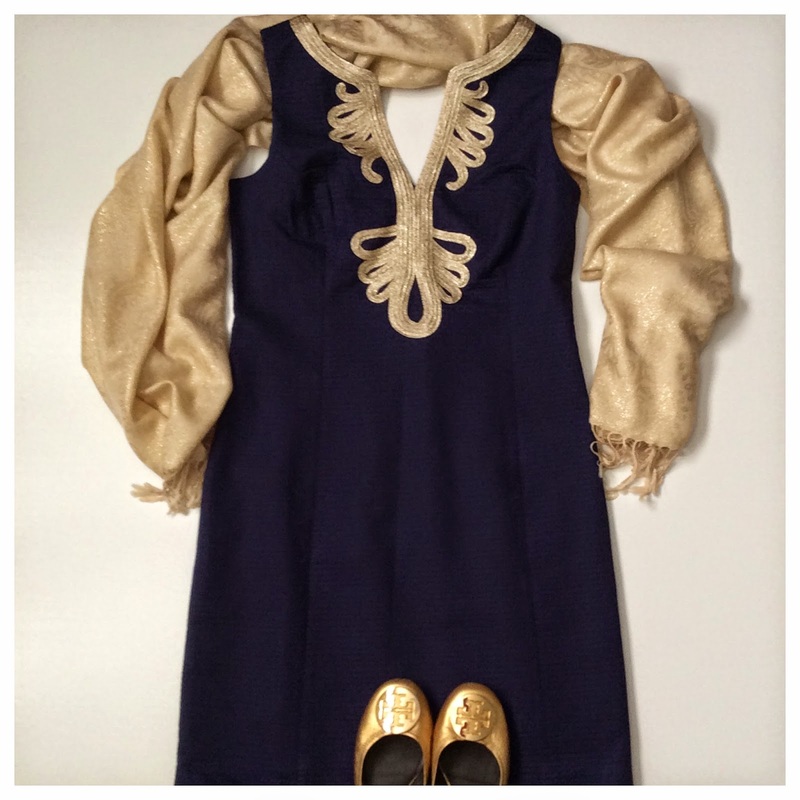 I'll also be wearing the Lilly Pulitzer gold murfee wrap with the dress and my gold Revas. When the night is through, I'll be wearing these cute Nick and Nora champagne-motif PJ's from Target. Our host for a couple of days is hosting the final party stop at his house and will serve the desserts and cocktails, and lots of midnight revelry. 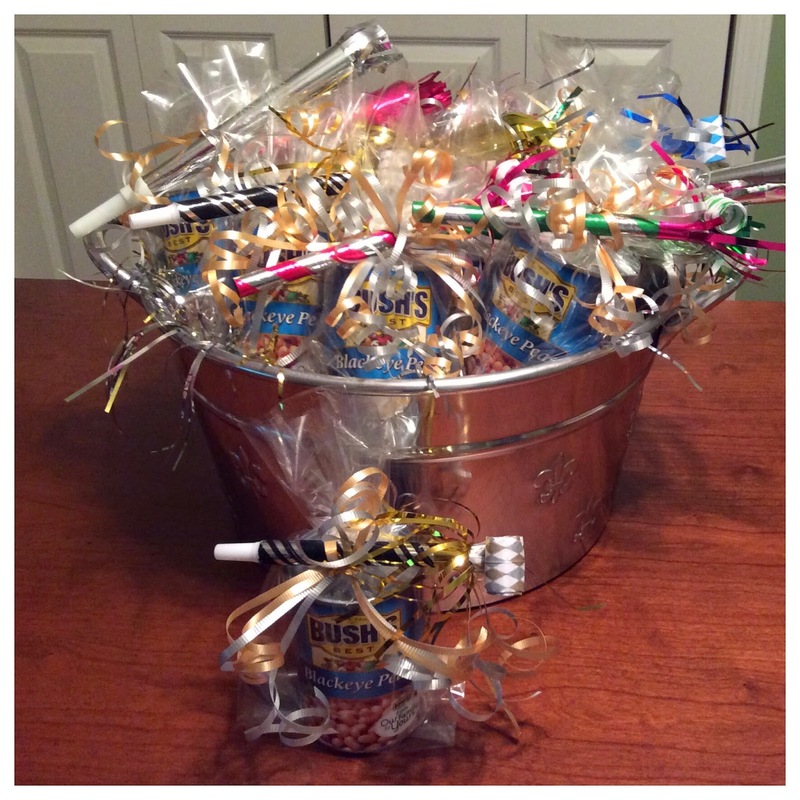 I am providing the party favors. These are my favorites to give on New Year's Eve...Blackeye Peas! The host of the party should give the toast. Begin your toast close to midnight...before the countdown. On New Year's Eve the toast is about a celebration, not the beverage. It's perfectly acceptable to toast with a non-alcoholic beverage, although it's a tradition to drink champagne on New Year's Eve. Clinking glasses is an etiquette faux pas. Lift your glass and point it in the direction of the person delivering the toast. 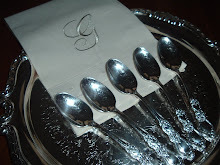 Remember to serve the most important guest first, then other guests, and the host fills his glass last. 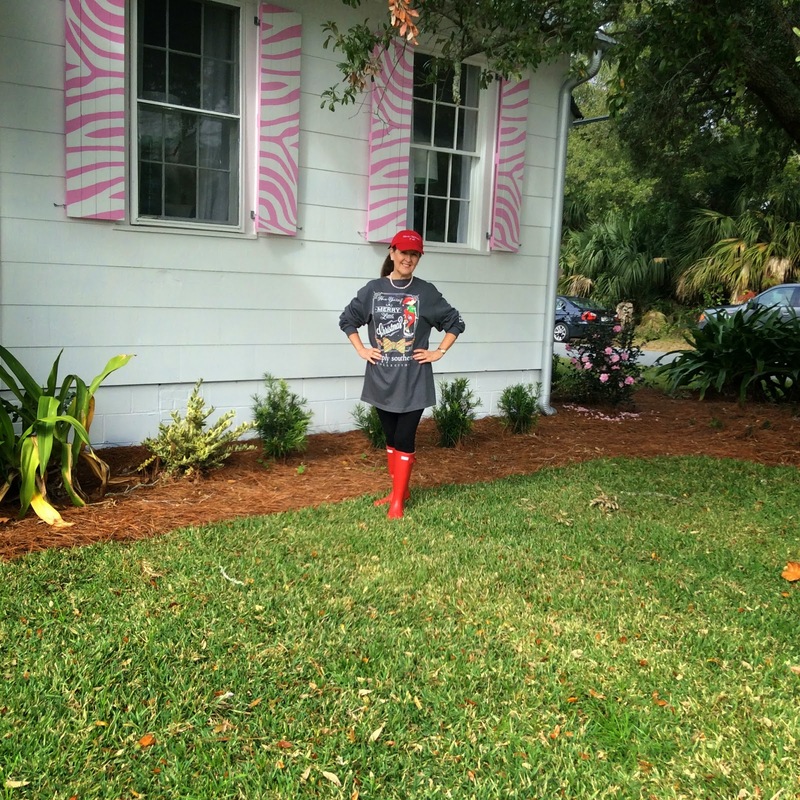 Here are some of my New Year's superstitions! I'll be eating lots of blackeye peas, pork, collard greens, and cornbread. They all are hopefully going to bring me money and good luck. I'll open all the doors to let the old year out and the new year in. No chicken for me on New Year's Day or I'll experience financial difficulties. I won't be washing any clothes...that's bad luck. I won't be taking any garbage out...again, bad luck. All my Christmas trees have been taken down...Mama says that leaving them up on New Year's Day is bad luck! Are you superstitious about what you do on New Year's Day? Well, all my Christmas decor is down and the house looks so bare and empty. 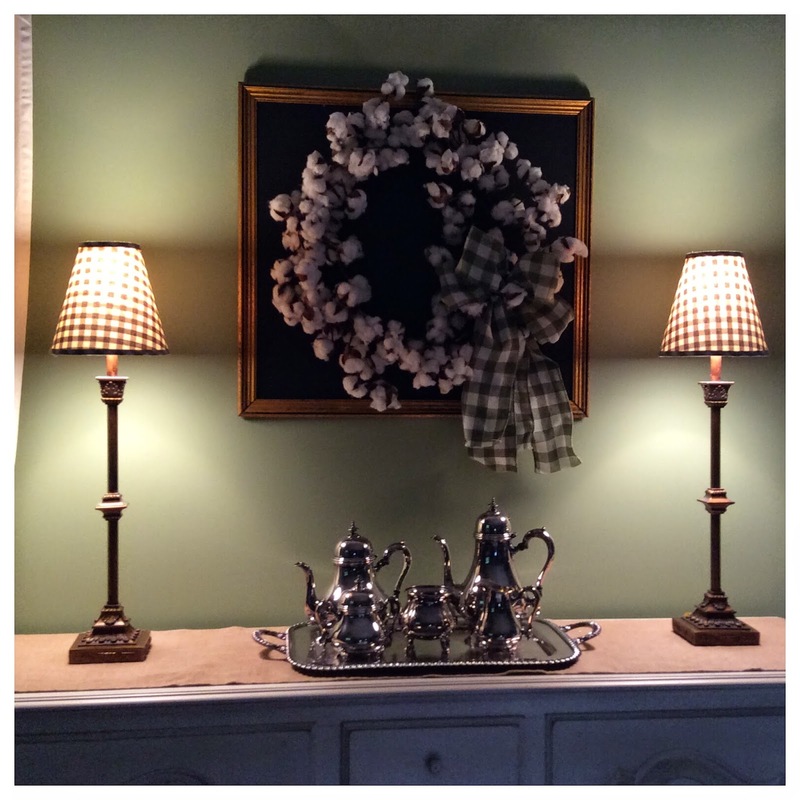 I decided to keep my cotton boll wreath up...for now. I rehung it in a new spot over the sideboard. 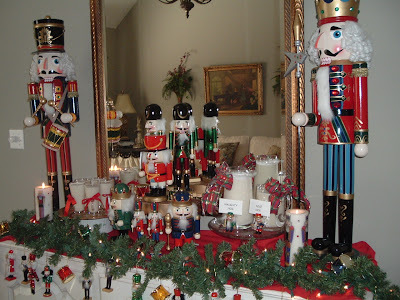 My house has been decorated with lots of holiday decor since right after we moved in...first Halloween, then Thanksgiving, and Christmas. So now, without the extra fanciness to fill in empty spots, I'm really going to have to focus in January to pull things together. I can't wait to find some more cute loot to help make it warm and cozy. 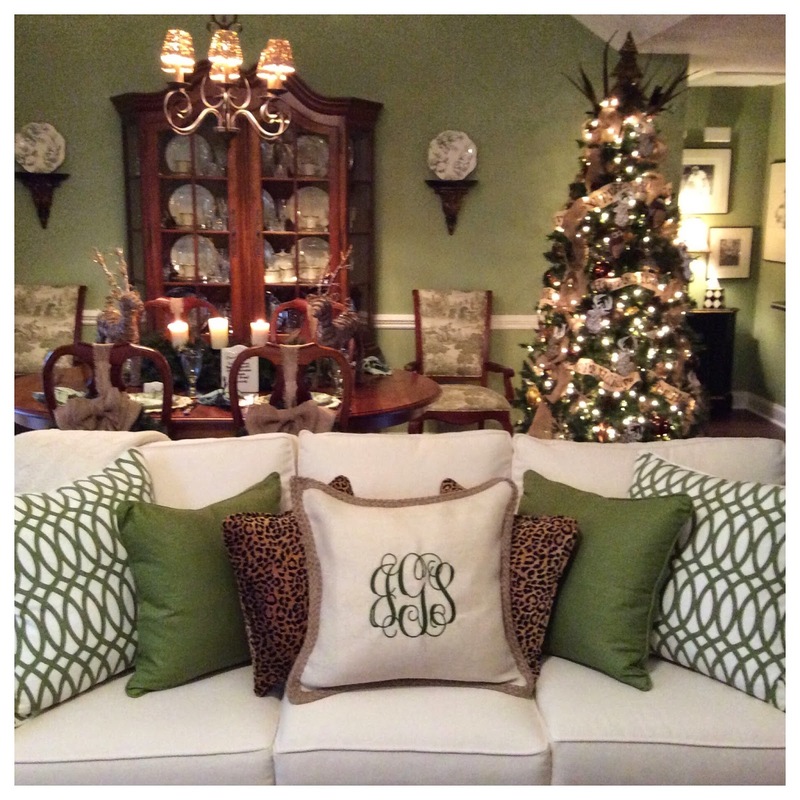 There are so many places in Georgia to shop for french country goodies and the hunt is the best part! 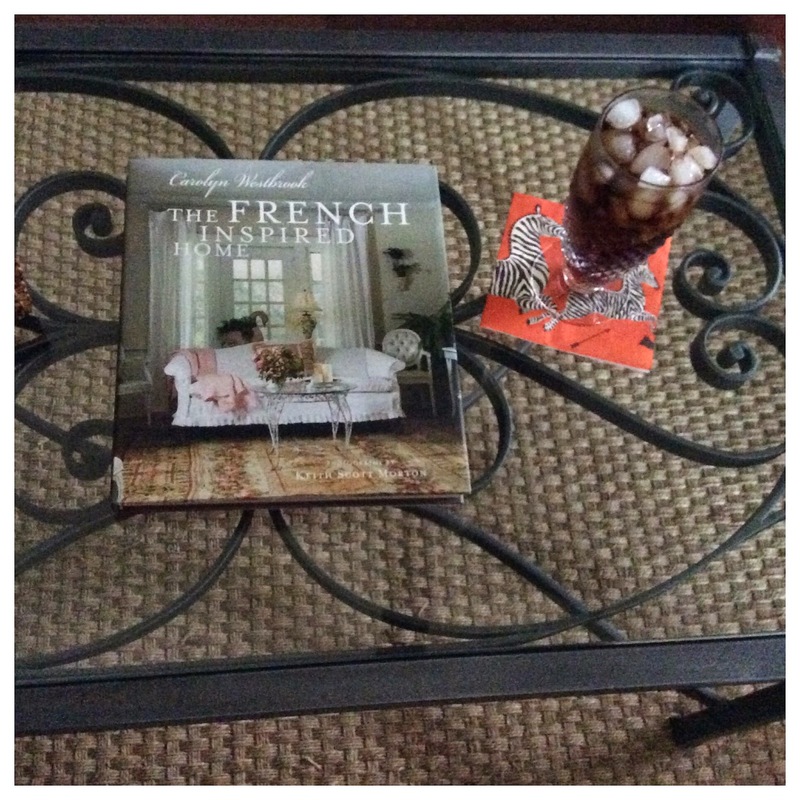 Today I browsed through this book by Carolyn Westbrook, The French Inspired Home. 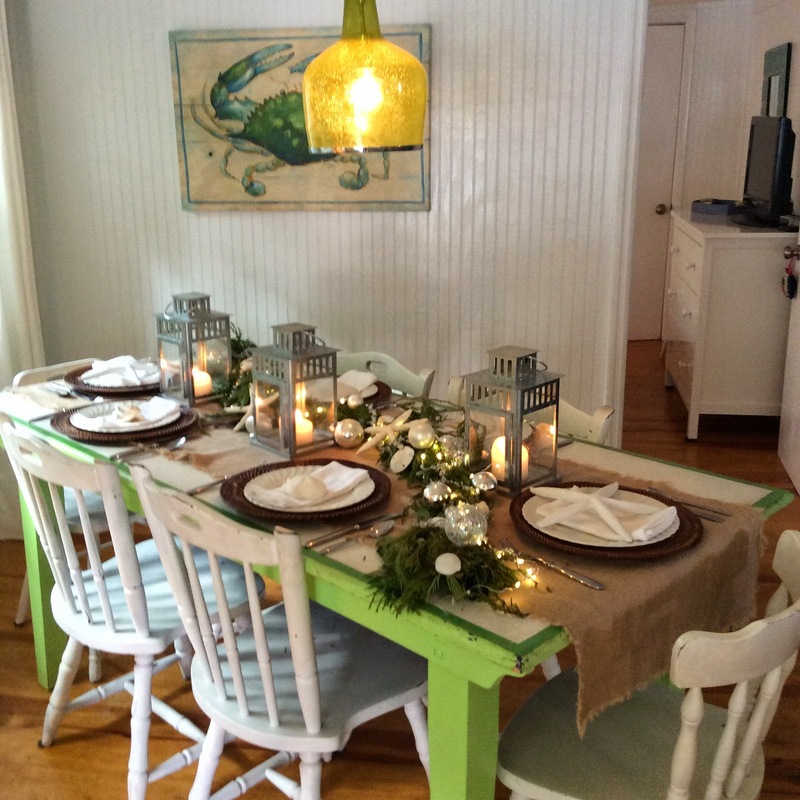 My Georgia home is ever-so humble (and that's just fine with me), but I still love to look at pretty pictures and somehow bring in little bits of french style to "The Roost." 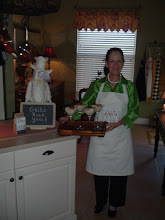 Ms. Westbrook is the author of several home decor books: Carolyn Westbrook Home, Through the French Door, and a Romance with French Living. If you like French decor, you will love all her books because they are all full of pretty pictures! Thank you for visiting with me today. Merry Christmas to y'all! 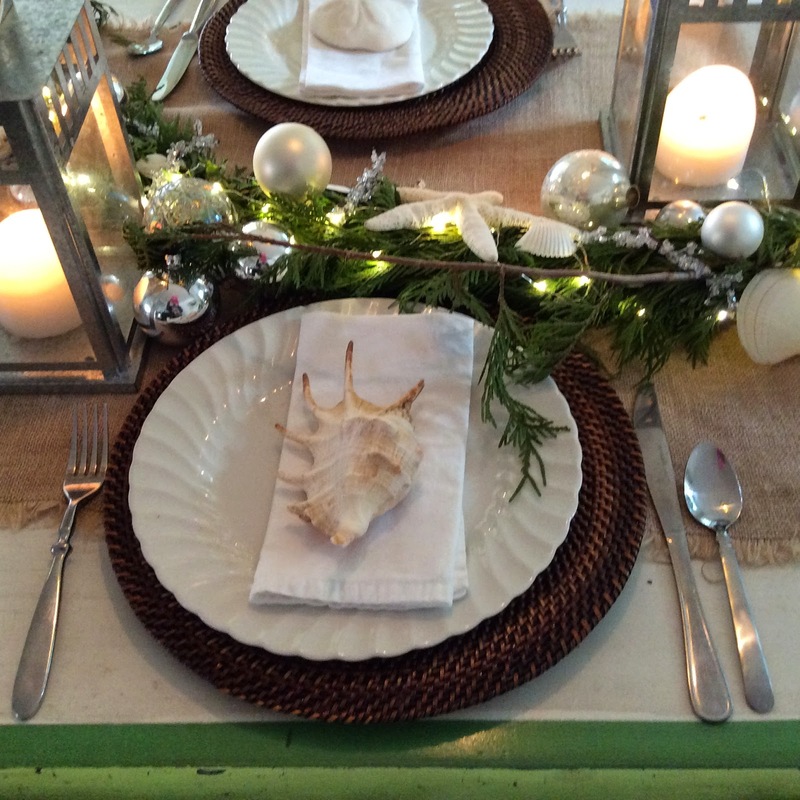 I was fortunate to spend Christmas Eve with my family and we enjoyed a very casual supper. 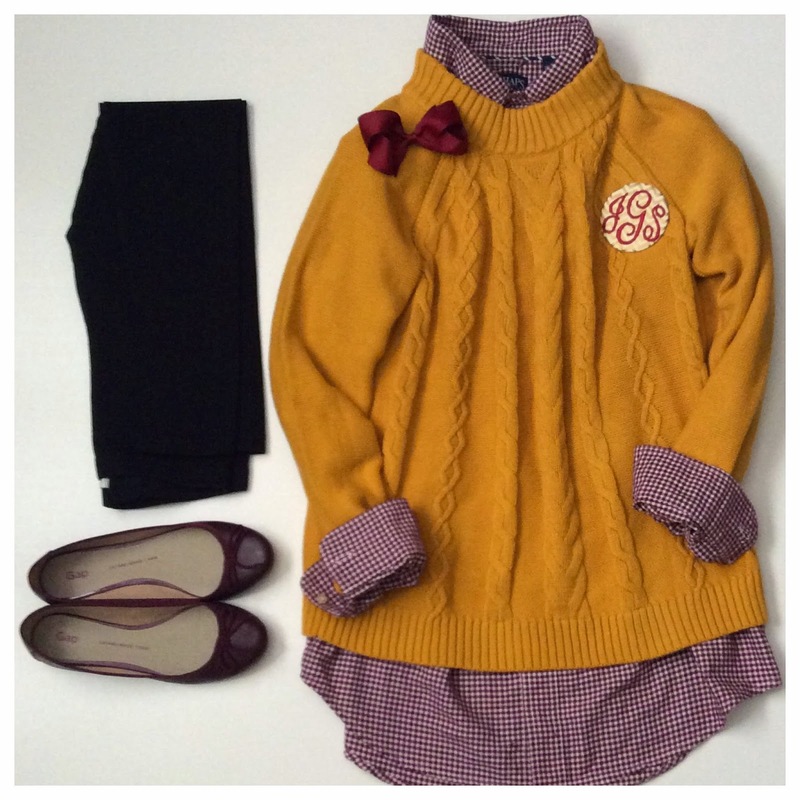 "HERE'S WHAT I WORE" The tartan dress is by Brooks Brothers and the headband is Ferragamo. I wore a black cashmere cardi and black Chanel ballet flats. 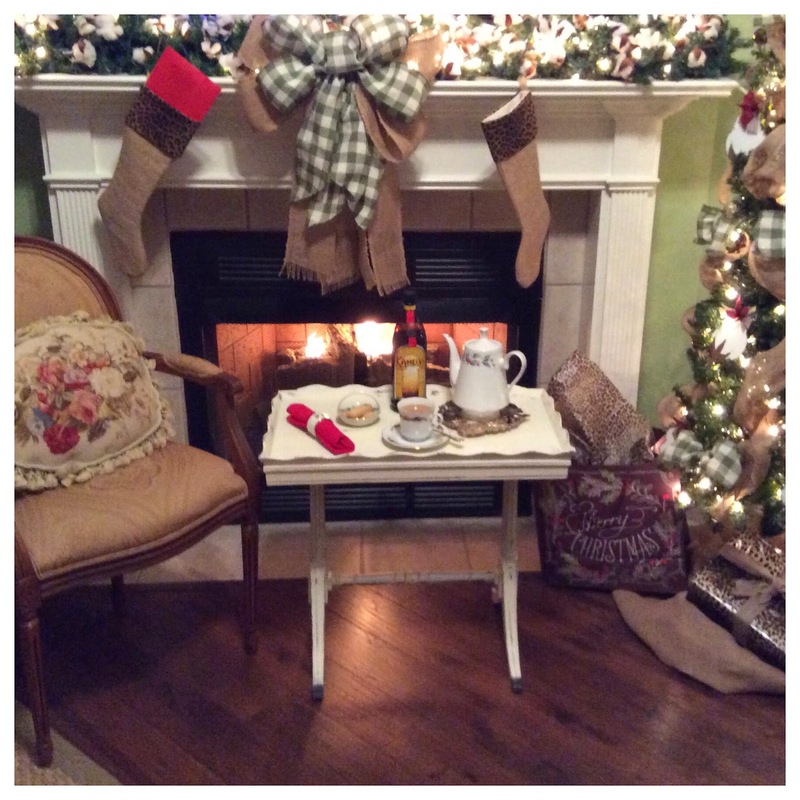 Now, all the rush is through and I am relaxing on the sofa...enjoying a Kahlua and coffee by the fire. 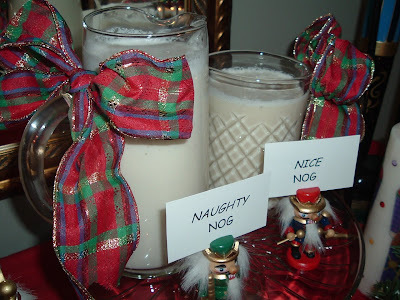 How Do You Like Your Eggnog--Naughty or Nice? 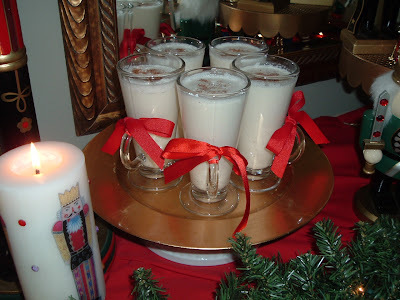 To celebrate National Eggnog Day, I'm re posting my favorite recipe for the holiday beverage. 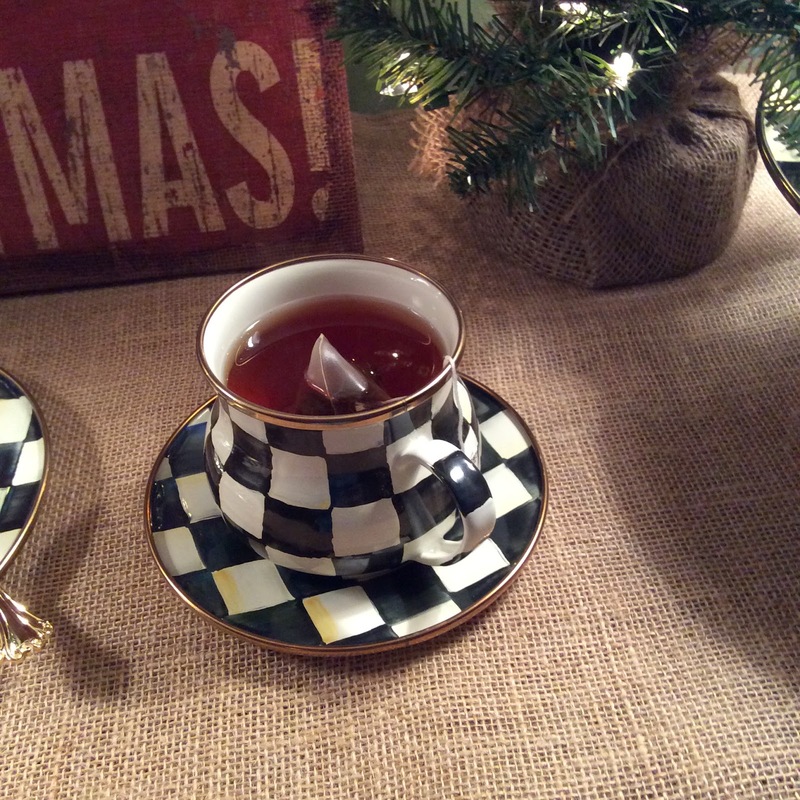 After an evening at the Nutcracker, invite friends back to your house for a nightcap. 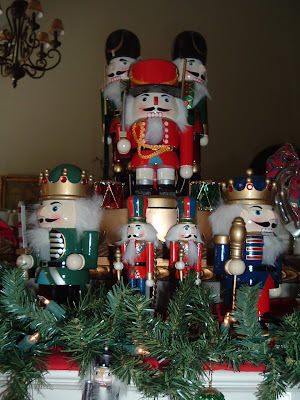 Eggnog is an excellent choice and is an annual Christmas tradition going back to the 1600s. Eggnog is a descendant of a British drink called posset, which contained eggs, milk, and ale. 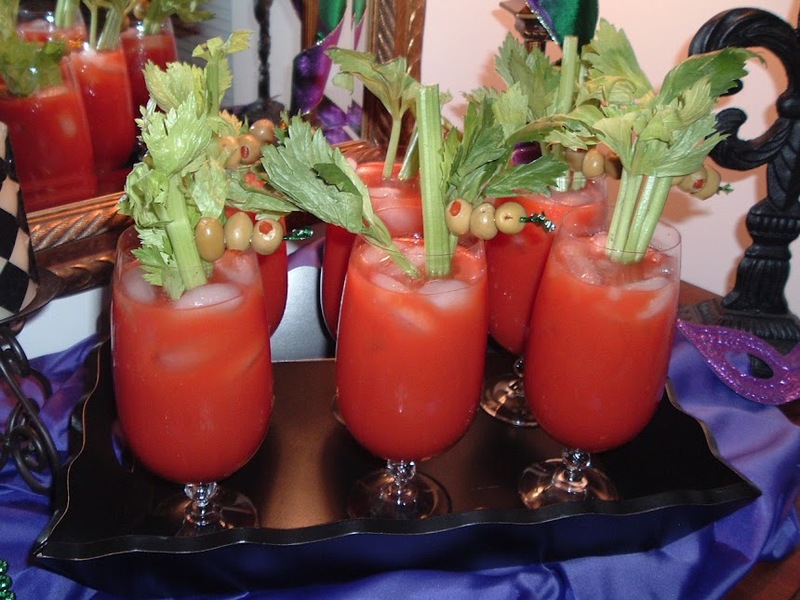 It may be spiked with wine, brandy, or the ever-popular choice of rum. I always offer nice eggnog (soy nog and nutmeg)--it's actually very tasty and lactose-free, cholesterol-free, and contains no saturated fat. Now, my naughty eggnog is just that--quite naughty, but very popular! Stir and pour into glasses and garnish with nutmeg. Desired amount of rum--I use one cup--I mentioned it was naughty, right? Whip eggnog and whipping cream until thick. Add white rum to taste. Stir and pour into glasses and garnish with nutmeg. 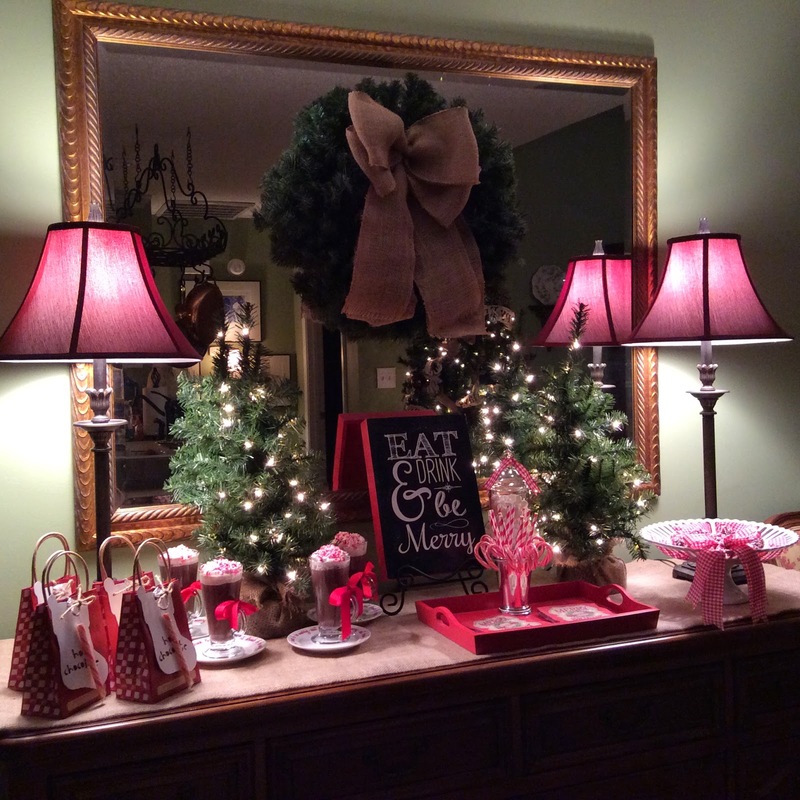 Scenes from last night at The Roost...Peppermint Hot Chocolate and Peppermint Fudge Balls. 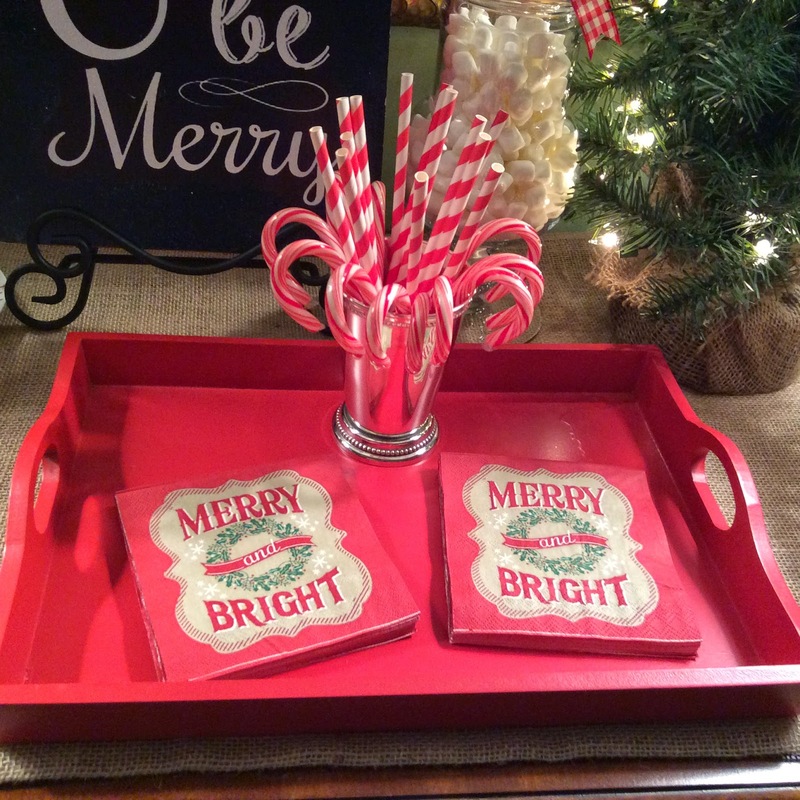 'Tis the Season for peppermint y'all! 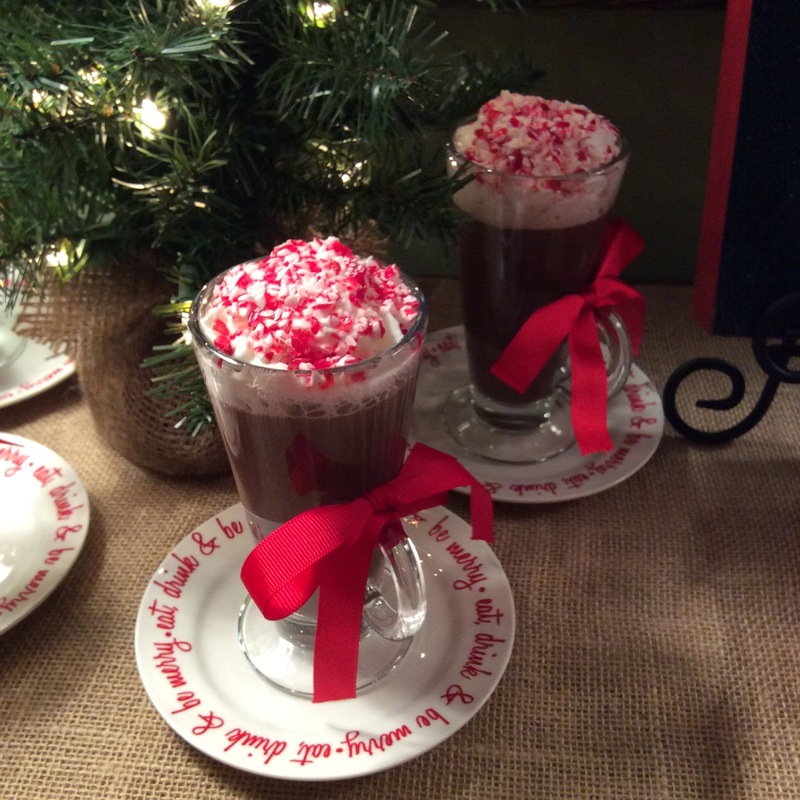 We are experiencing rainy, dreary weather here in Middle Georgia and hot chocolate with some peppermint goodies is the perfect comfort beverage! 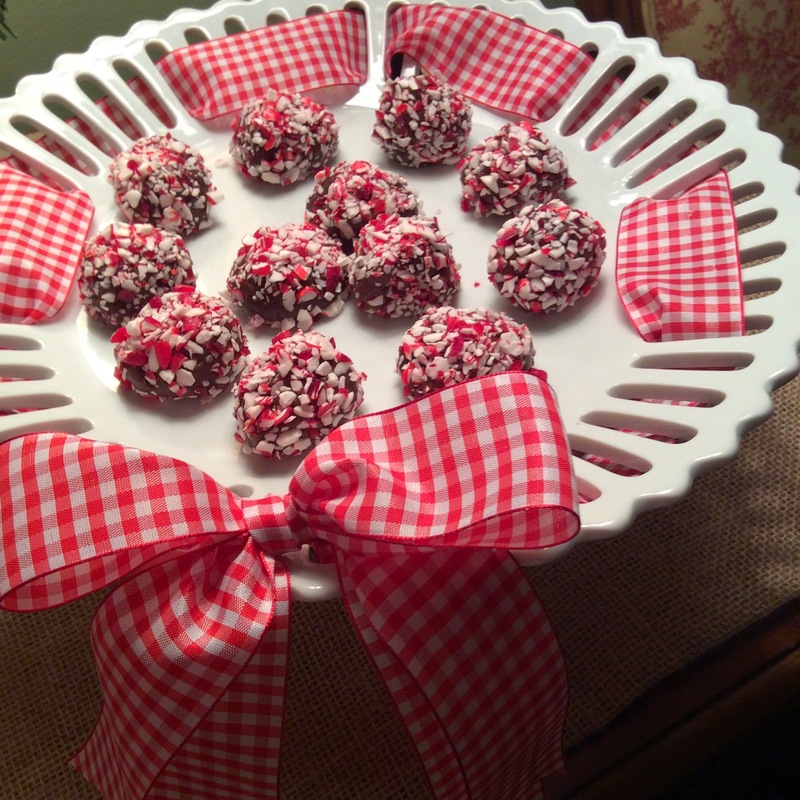 I made fudge balls and added crushed peppermint for nibbling and everyone loves them. 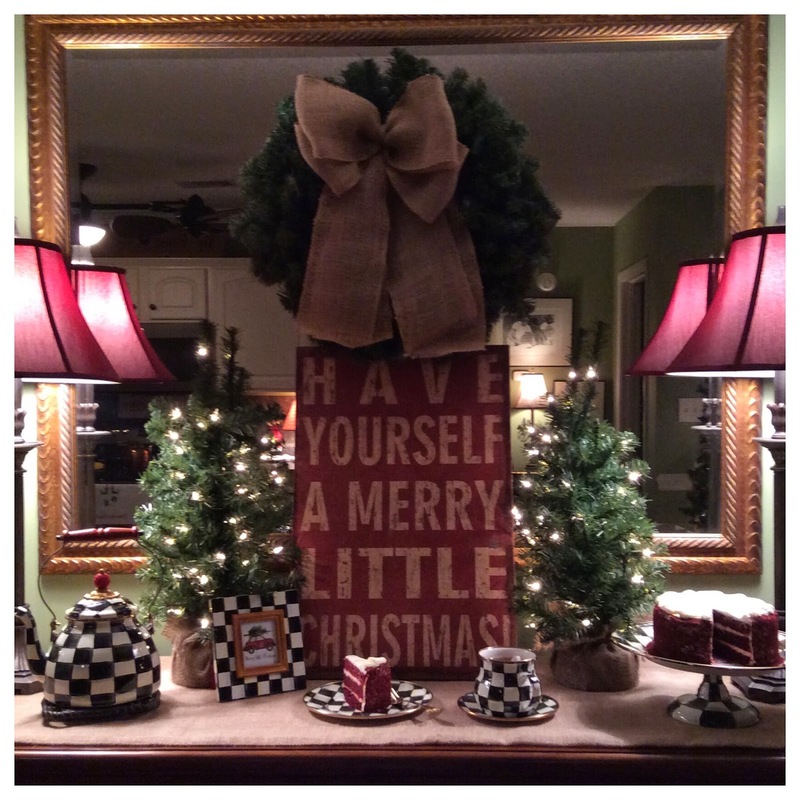 We are definitely trying to be Merry and Bright in this gloomy climate. 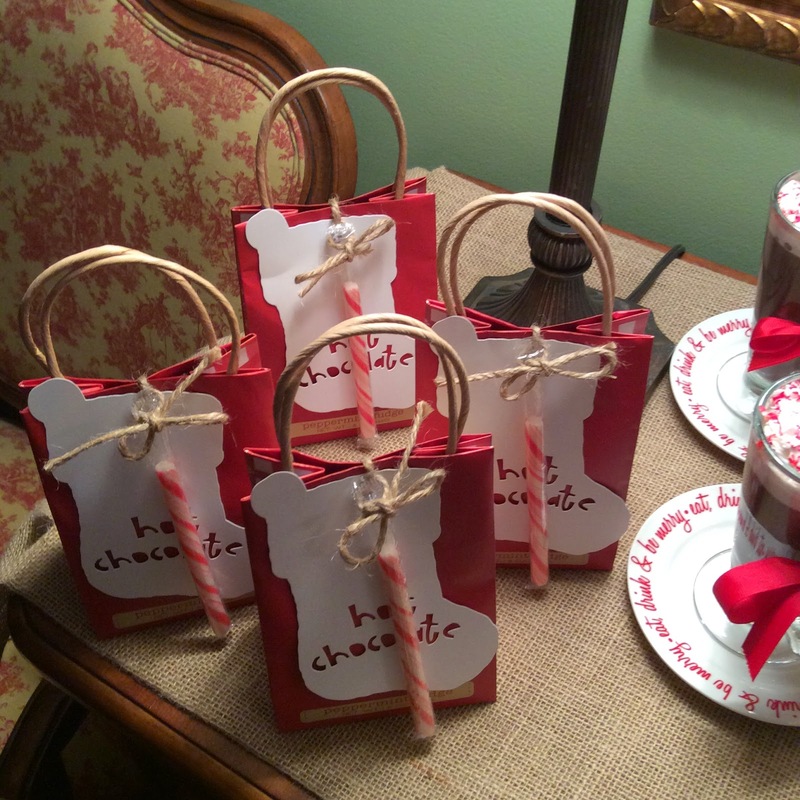 I haven't been very creative this Christmas season, but when I saw these bags of peppermint hot chocolate at TJ Maxx, I grabbed tons of them. They are my "Friendship Gifts" for December and January. Thank you for visiting with me today. Now I'm off to do some last-minute shopping! 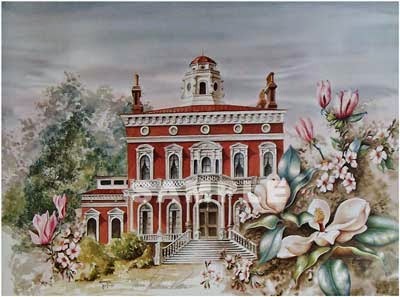 I have admired this print of the antebellum Hay House which has hung in Mama's family room for many years. 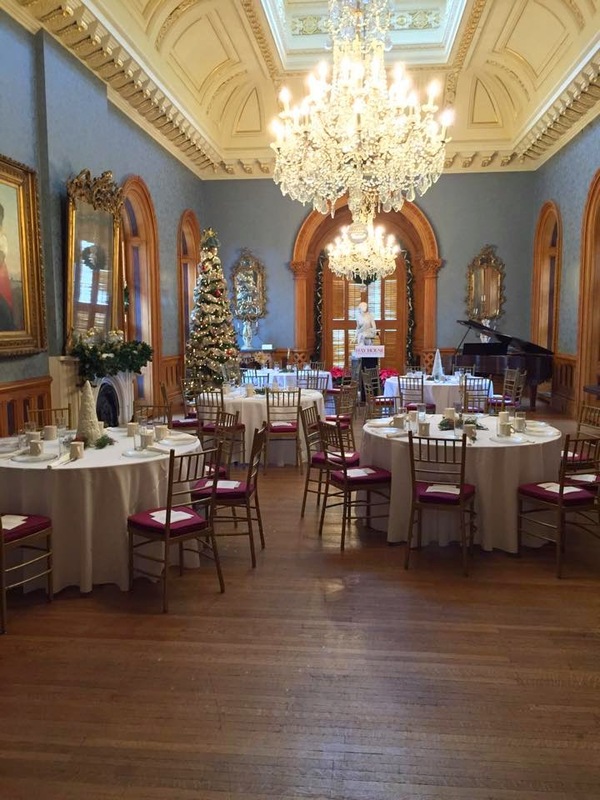 Last week I had a chance to attend a Christmas Lunch and Tour of the spectacular Hay House in Macon, Georgia. The four level, 18,000 square foot home is crowned by a three-level cupola. 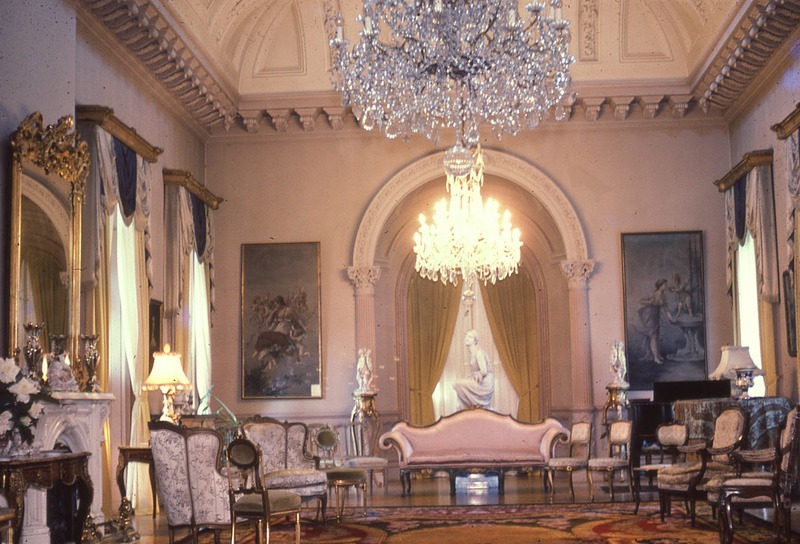 Known as The Palace of the South, it has all the grandeur you would expect from a Southern mansion built in 1855. 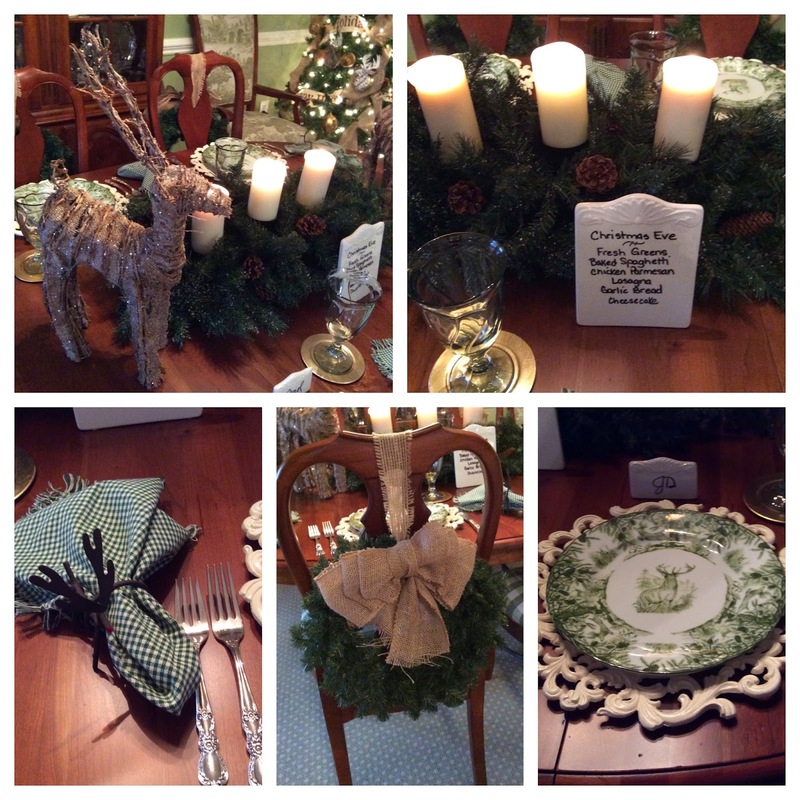 The home was decked out for the Christmas holidays with many Christmas trees and lots of festive garland adorning the mantels and stairways. The Music Room/Art Gallery was set for lunch which was delicious. Background music was by Caleb Esmond, a talented eleventh grader from Macon who hopes to pursue collaborative piano and piano composition after high school. 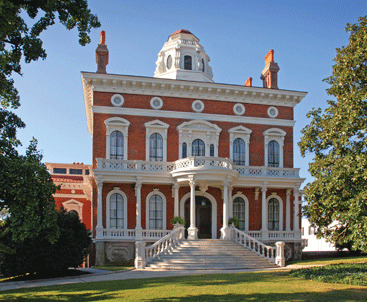 The Johnston-Felton-Hay House, often abbreviated Hay House, was built in 1855 by William Butler Johnston and his wife Anne Tracy Johnston in the Italian Renaissance Revival style. The home was sold to Mary Ellen Johnston and her husband Judge William H. Felton in 1896. Maude and Parks Lee Hay bought the home in 1926 and after the death of Mrs. Hay in 1962, the home was turned into a house museum. 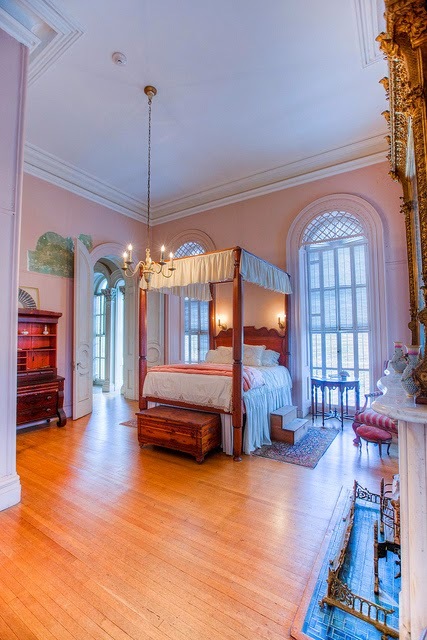 The home has 24 rooms, full of beautiful art, ornate period furnishings, stunning silver, and exquisite stained glass. It's still in the process of being restored, which I'm sure is an on-going process. 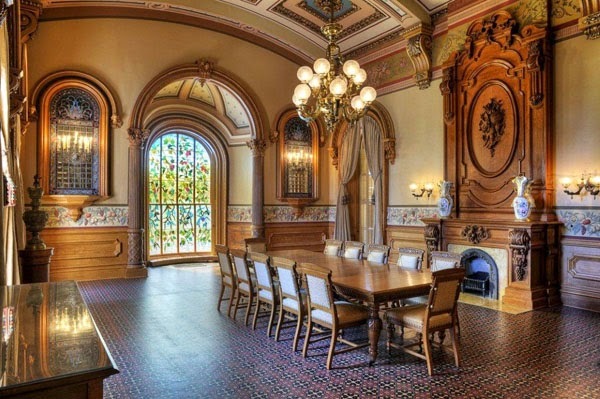 There are secret hiding rooms, a wine cellar, a larder, chandeliers fit for a palace, and of course unbelievably beautiful architectural detail. Photography was not allowed during lunch or during the tour. 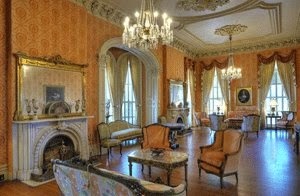 I did find some photos of the interior on the web and wanted to share them with y'all. 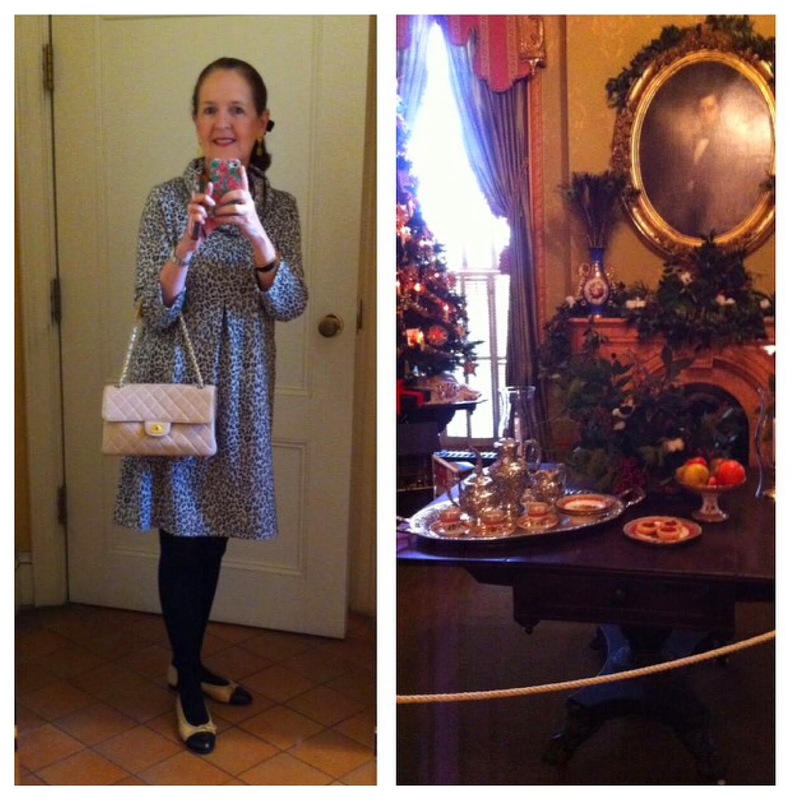 I did sneak a photo of a table set for tea...and my outfit. I'm wearing a very comfy animal print dress with a cowl neck, by Tyler Boe. 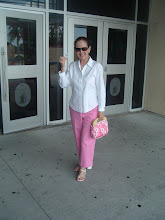 My ballet flats and pocketbook are Chanel. The Hay House reminds me of the elegance of a bygone era. I can't wait to return for another visit to this beautiful home so I can study all the silver, china, and every little nook and cranny! 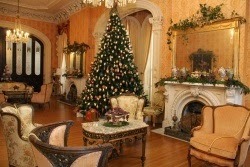 If you are traveling through the Macon area, make sure you visit this home. It's located at 934 Georgia Avenue, Macon, Georgia. For additional information regarding tours or events, call 478.742.8155. 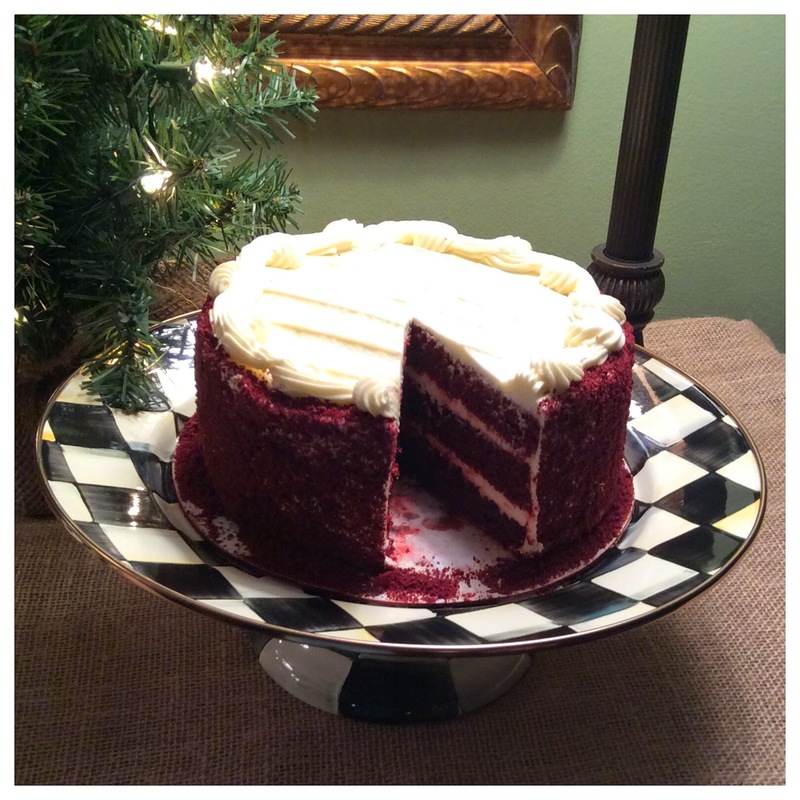 My family loves red velvet cake and I always buy mine from The Fresh Market. They have the best! I love to pair Harney Tea's Chocolate Tea with this cake...their Valentine Blend has the perfect chocolate flavor! 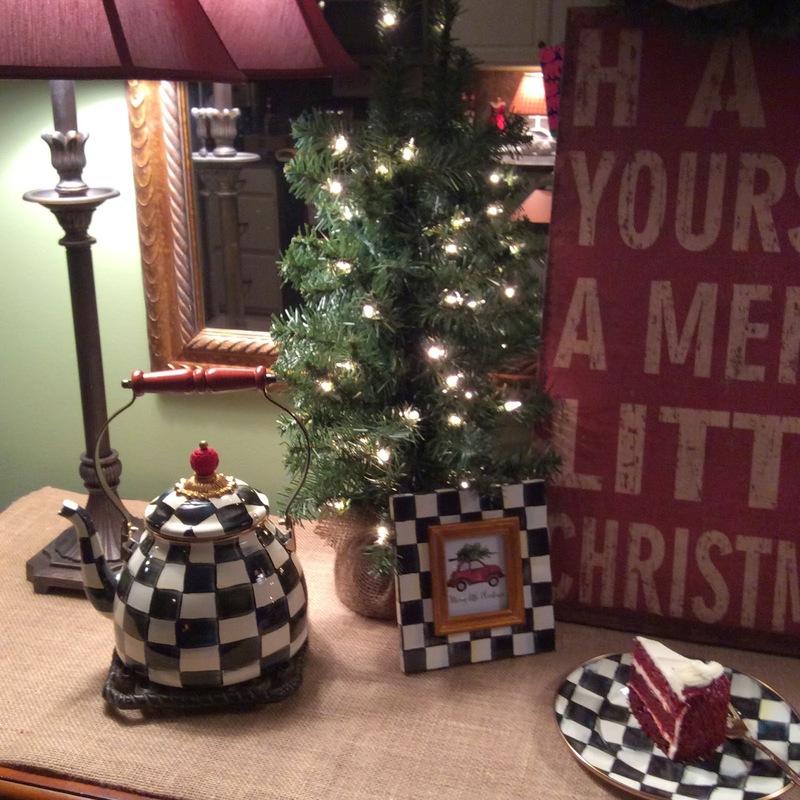 I do love MacKenzie Childs' Courtly Check...it meets all my gingham/buffalo check obsessions y'all. Oh how I want a little red car again! Thanks for visiting with me today. 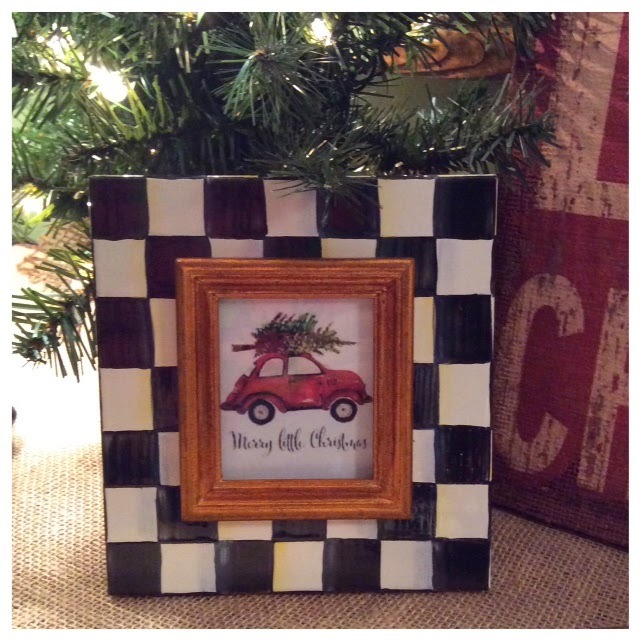 Hope y'all are having a Merry Little Christmas season! 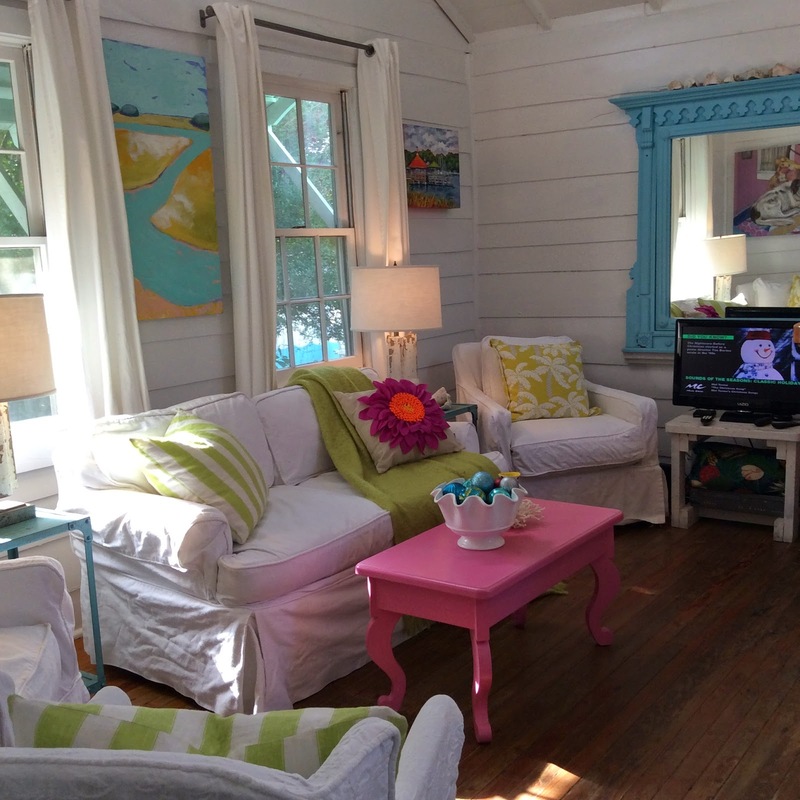 There are so many adorable beach cottage homes on Tybee Island, but the cottages restored and decorated by Jane Coslick are the cutest! 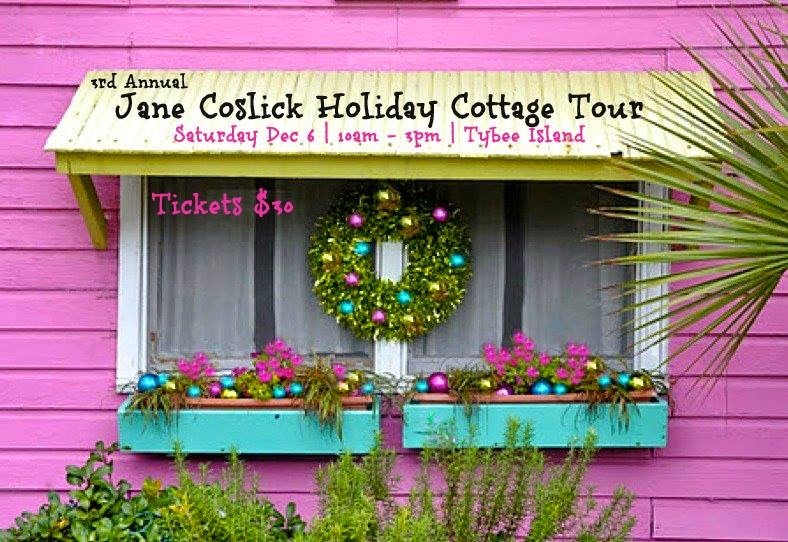 Recently I attended her 3rd Annual Holiday Cottage Tour. I took so many photos of the exterior and interior of the homes on the tour and thought y'all might like to see just a few of them. 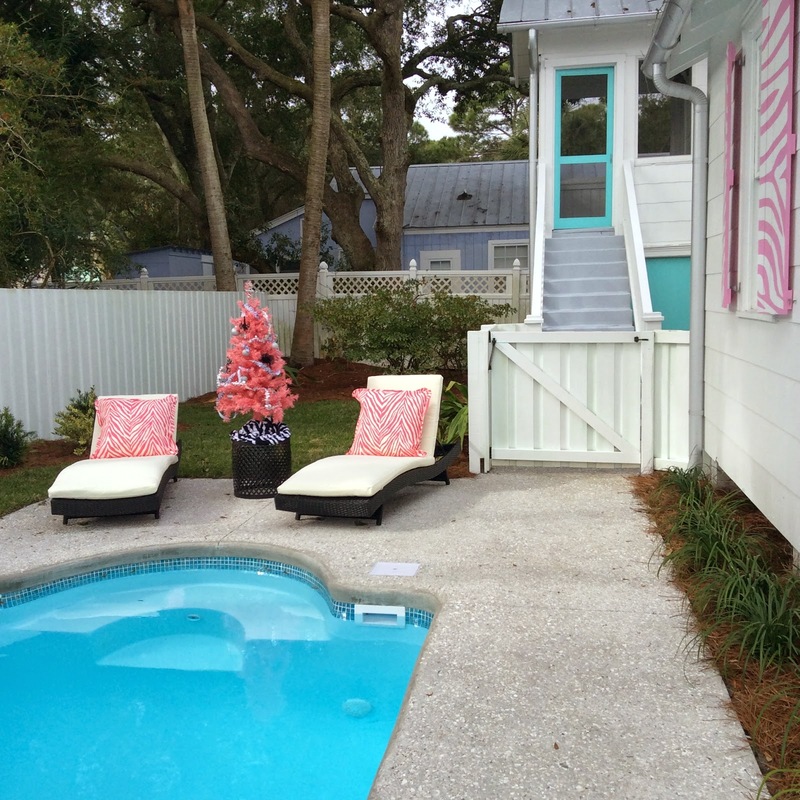 This cottage was our first stop...I think the pink zebra print is just too adorable. 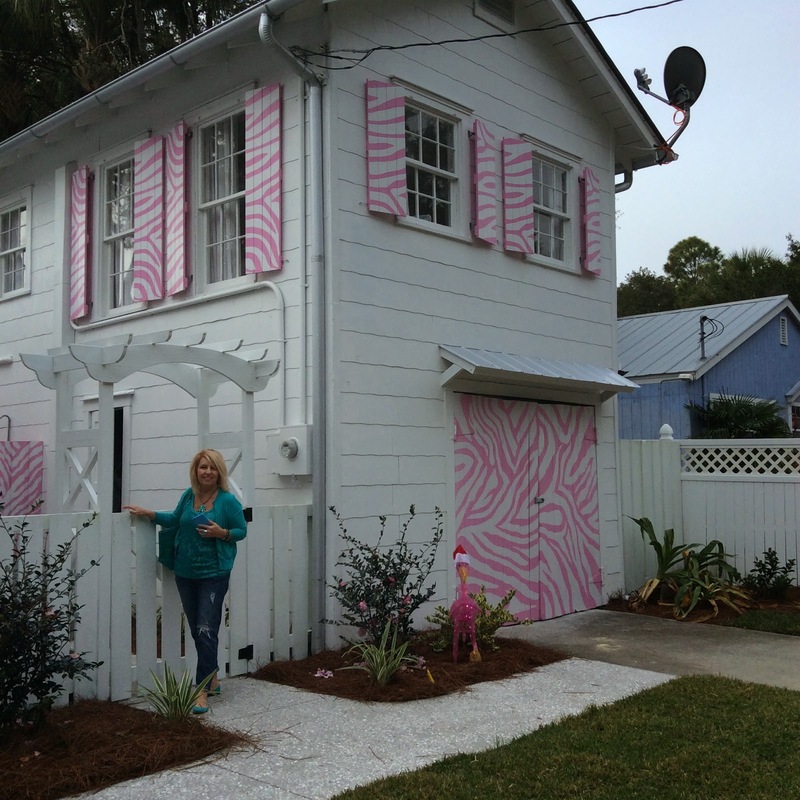 That's my friend Tybee Joy posing outside the detached garage living area...look at all that pink zebra! 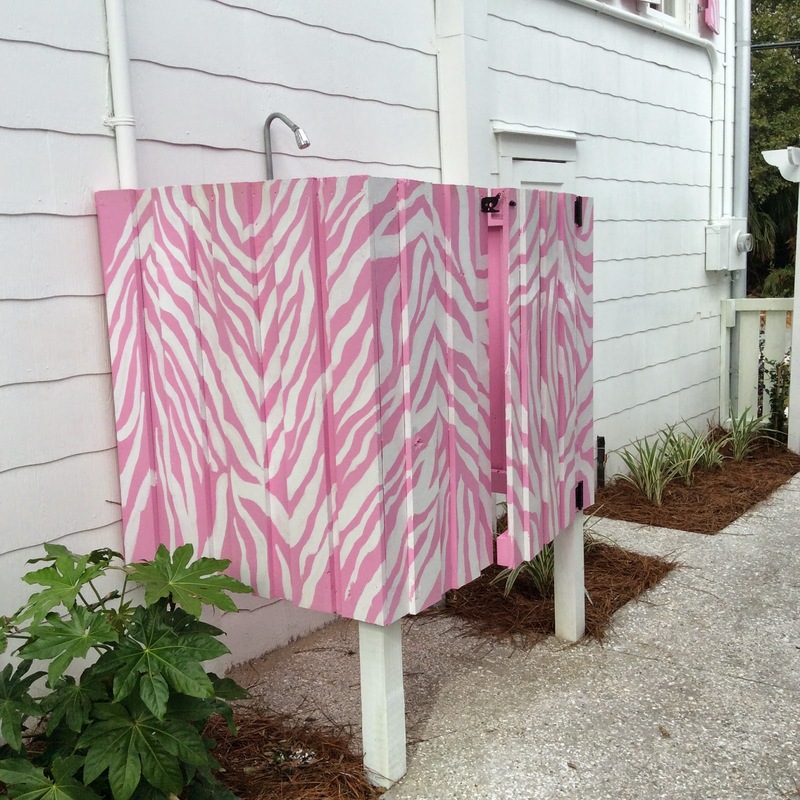 This definitely is THE most chic outdoor shower I've ever seen. Well, I could just move in. 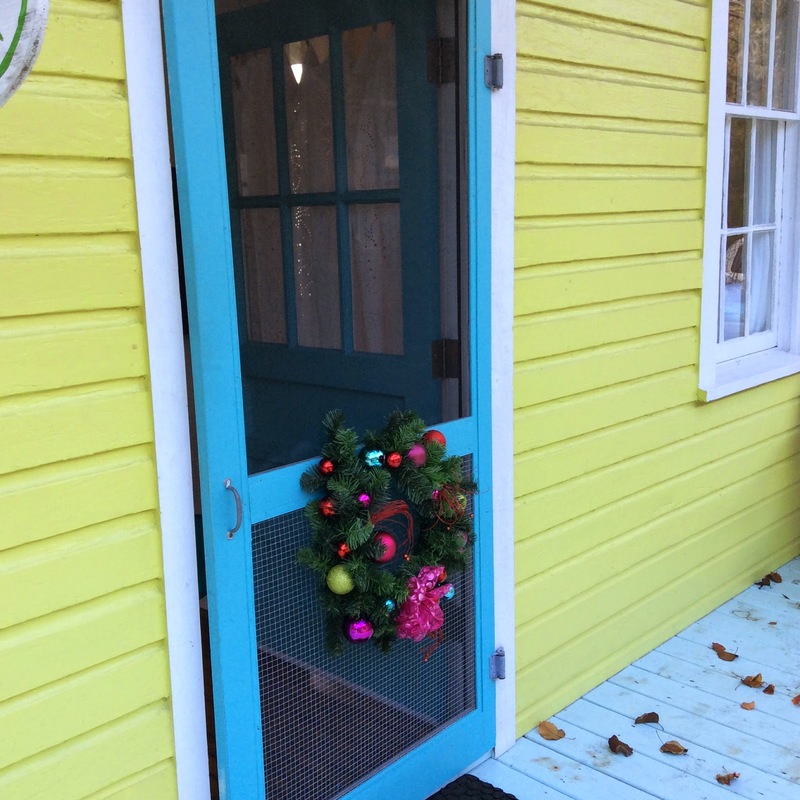 Moving on...I loved this yellow house with the turquoise painted screen door. 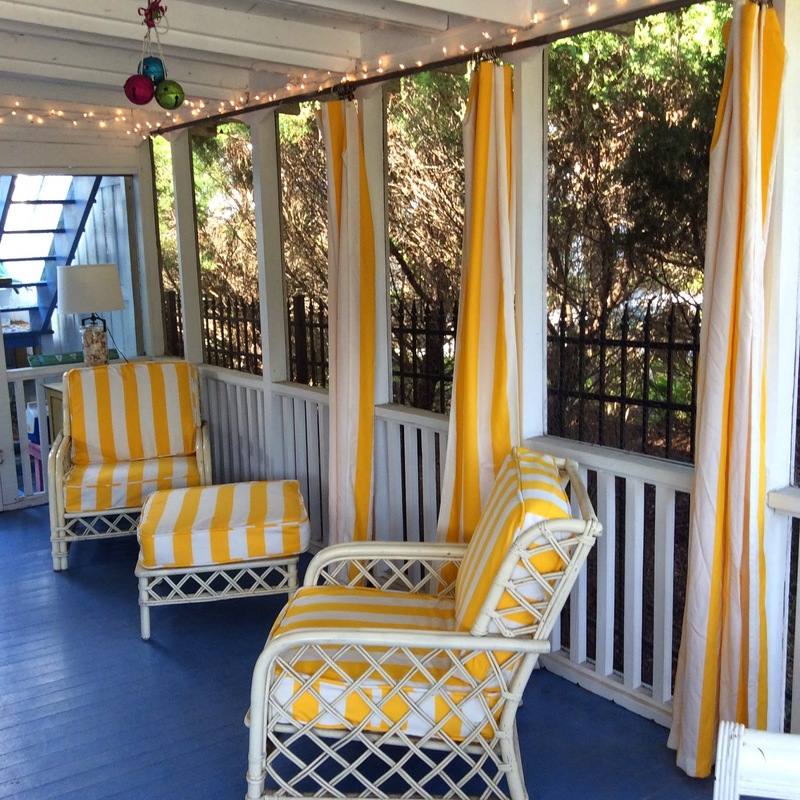 Jane jazzed up this porch with beautiful fabric. 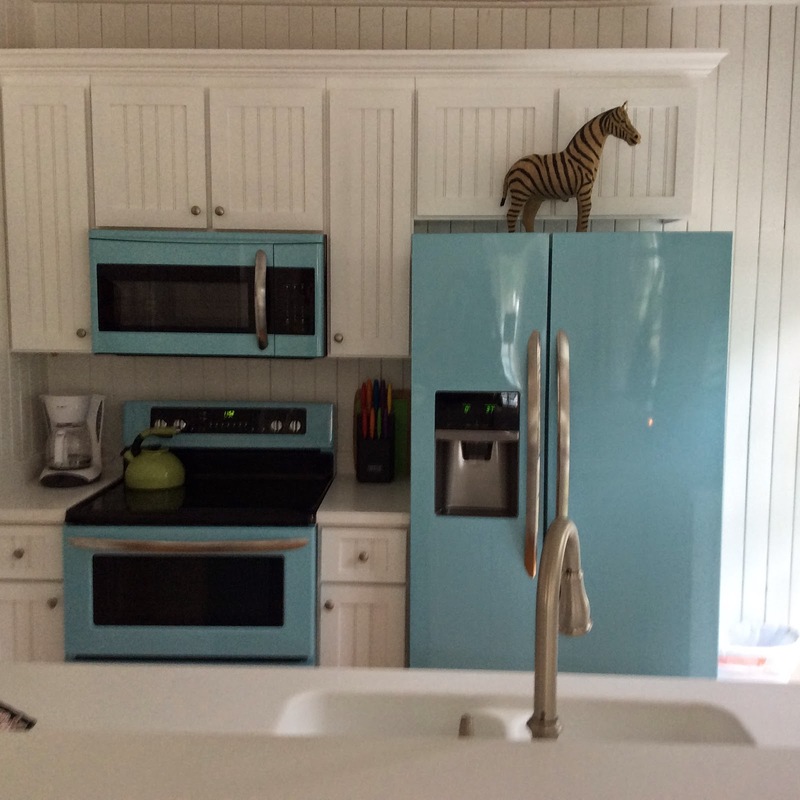 These are not my colors for the kitchen, but how fabulous are these appliances?! 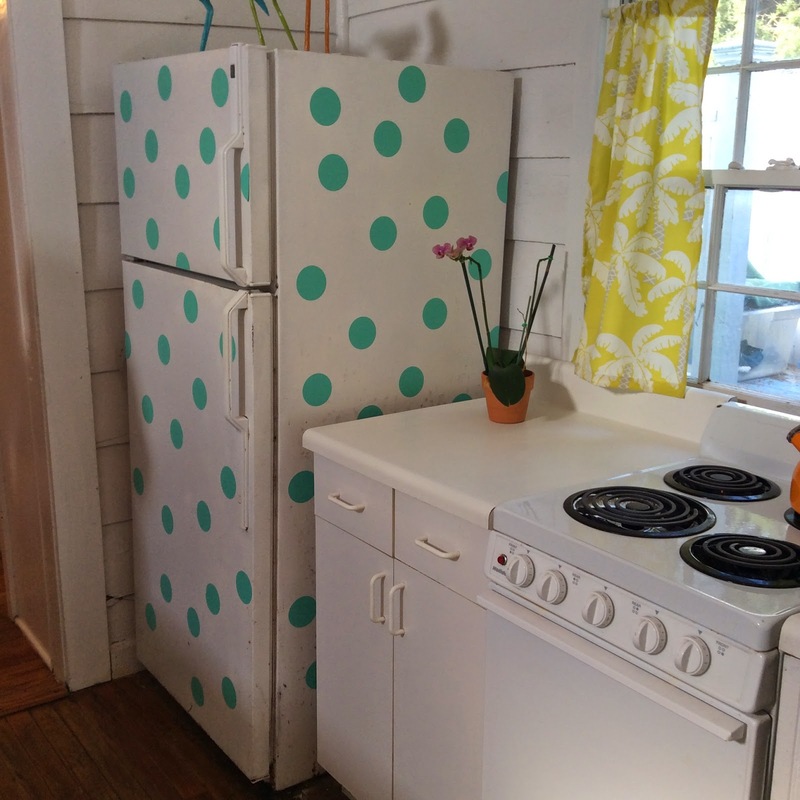 So, if your frig starts to rust or fade over time, just add colorful dots! 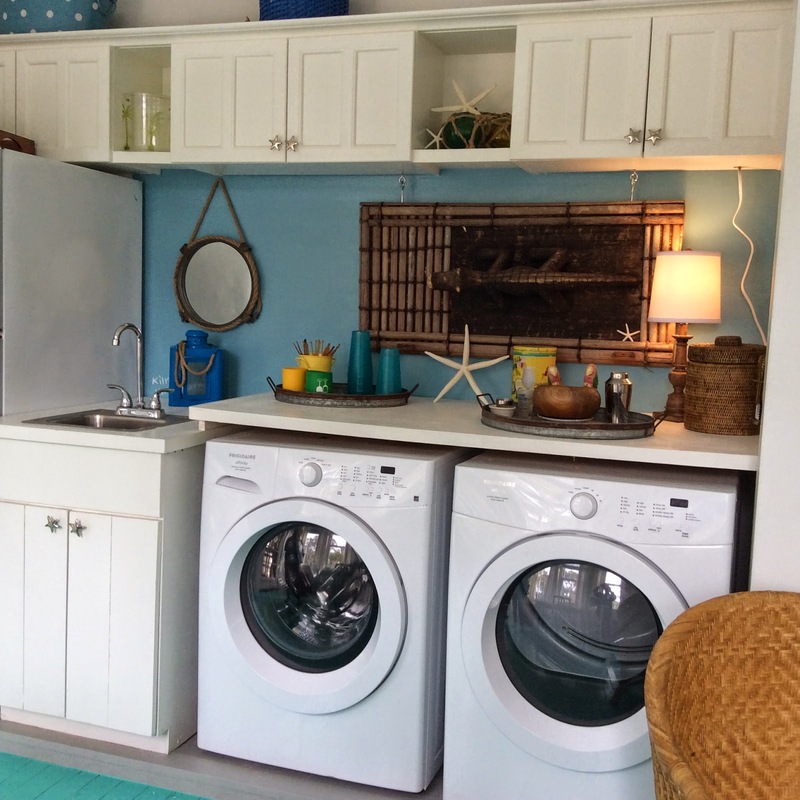 If you are short on space, get creative and enjoy cocktails while you are doing the laundry. 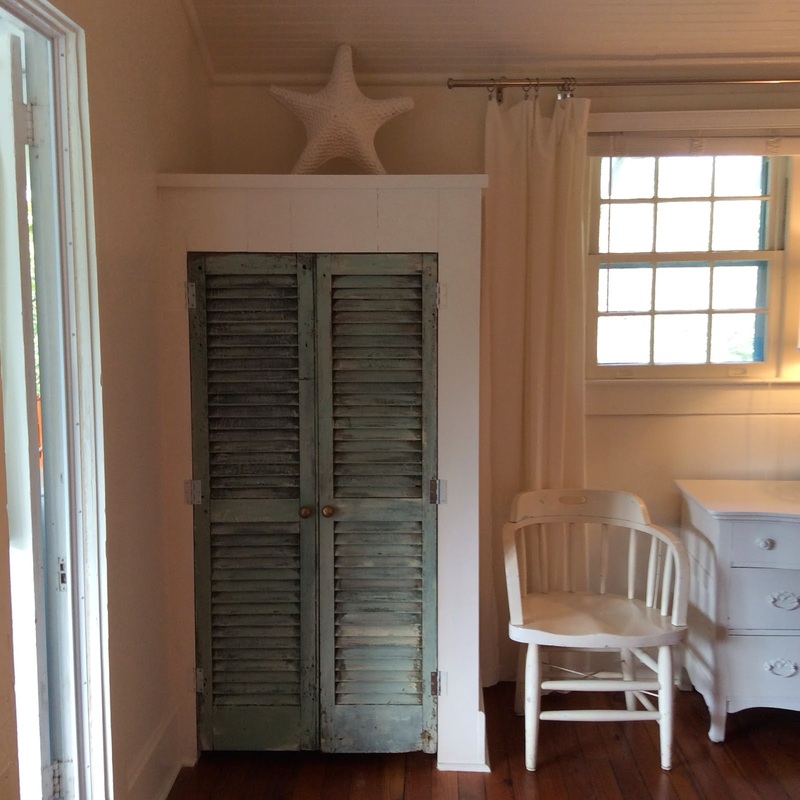 Love Jane's use of shutters as doors. 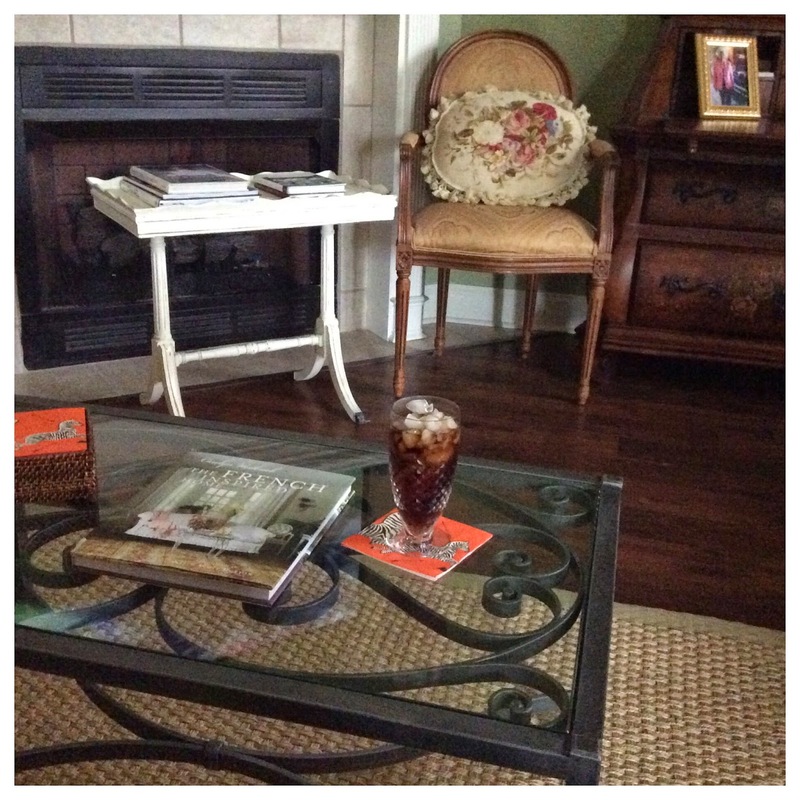 Of course, I love the pink coffee table! Love, love, love this bunk room. 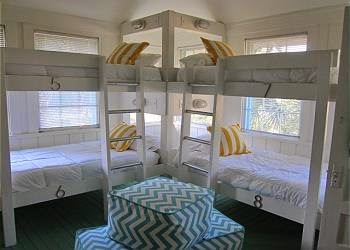 There are 8 bunk beds for the children! 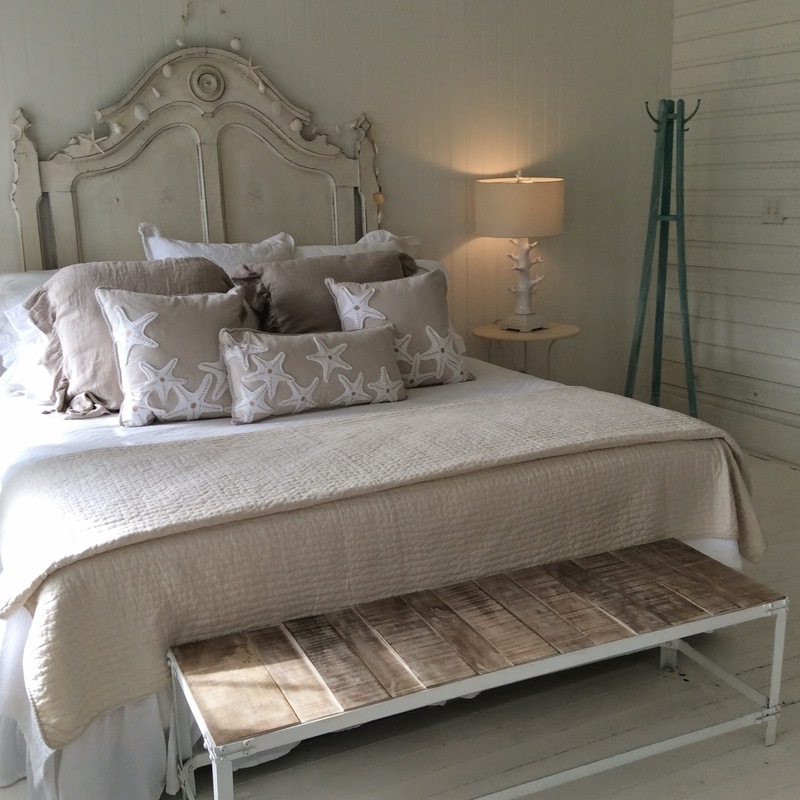 I love everything about this bedroom...the headboard, the linens, and the bench! 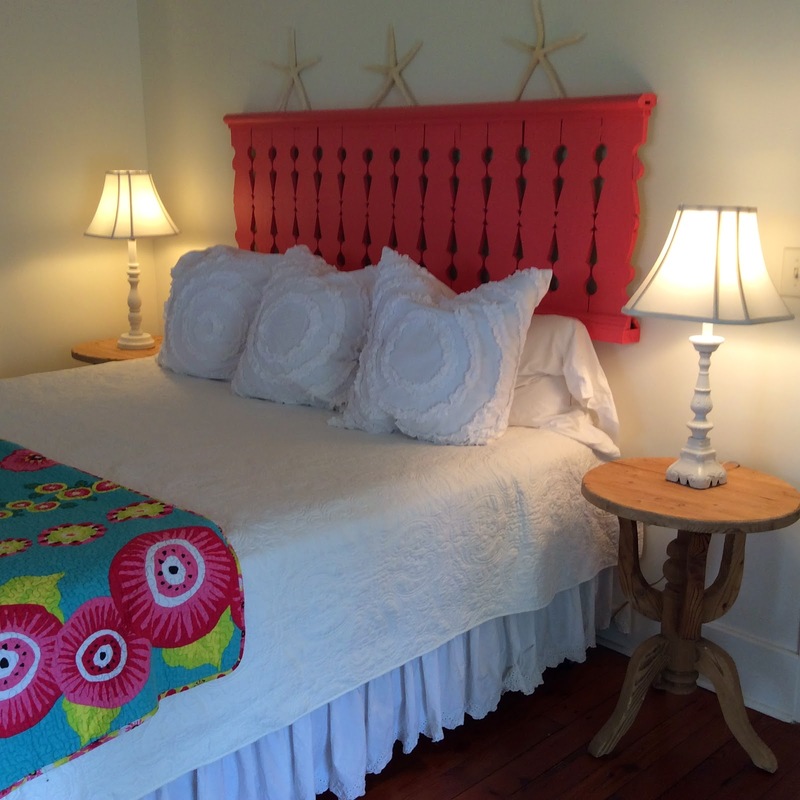 Love this colorful, unique headboard! 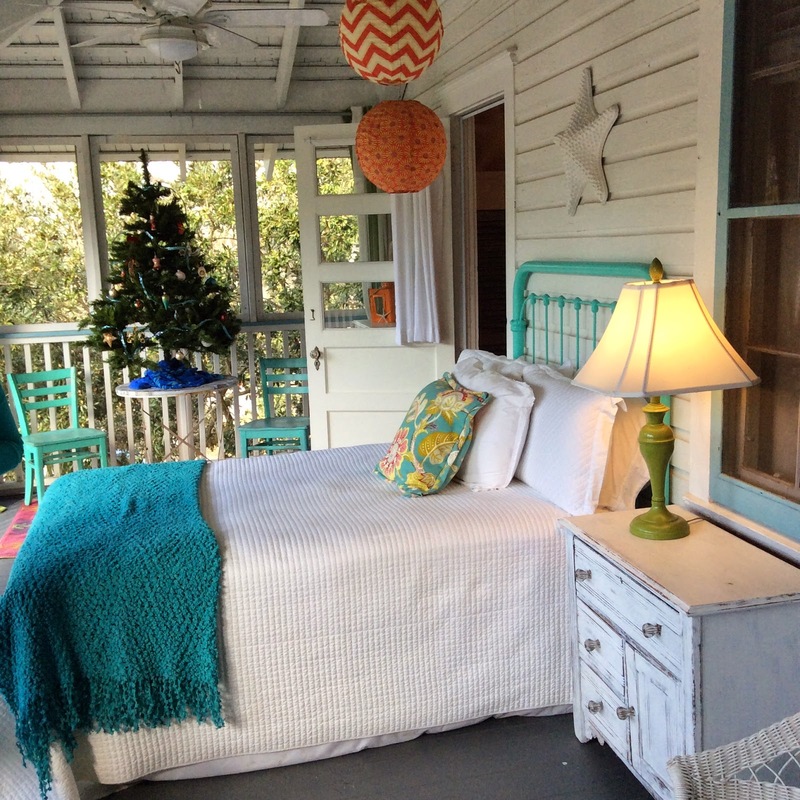 Everyone needs a sleeping porch at the beach. This one is adorable! 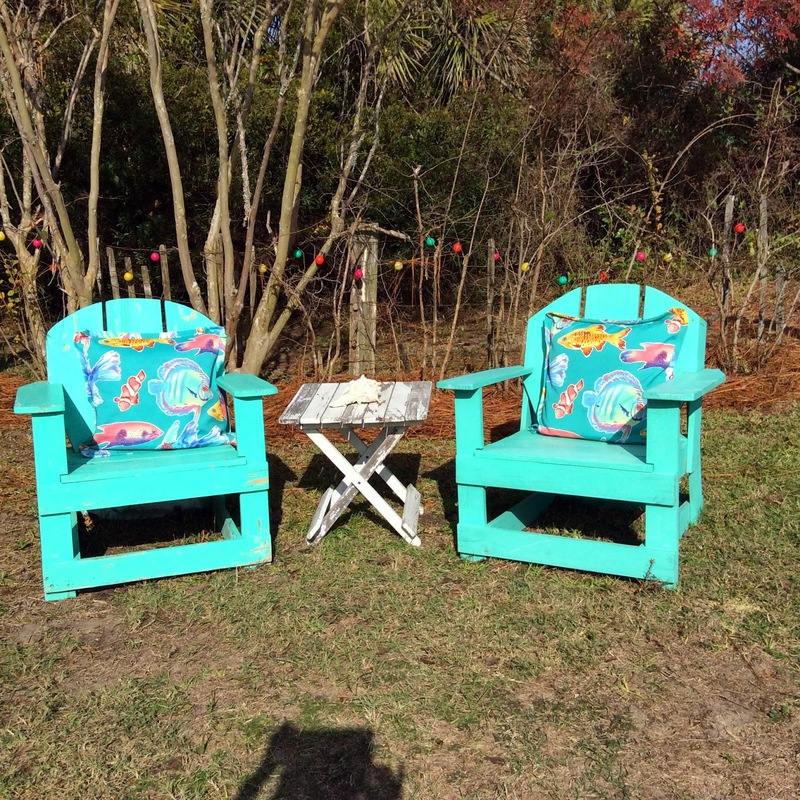 Love these Jane Coslick adirondack chairs! 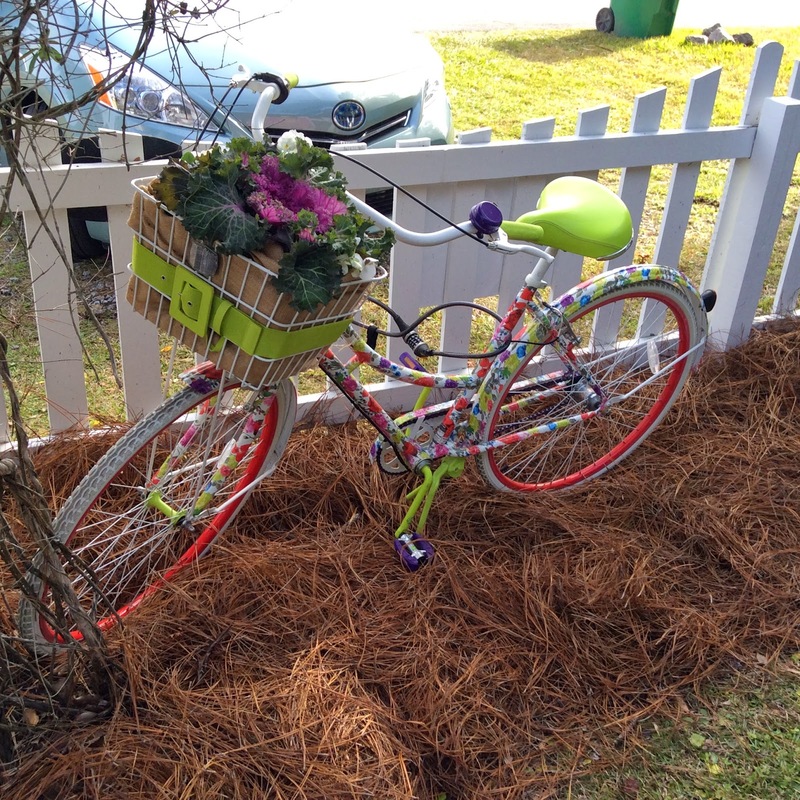 If you live at the beach, your ride should look like this! Thanks for visiting with me today. 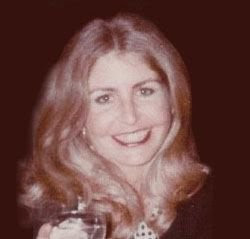 Remember to note my new blog address, effective January 1, 2015: SocialGraces-101.blogspot.com. 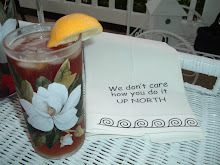 Please disregard the above blog name change. I will remain at EtiquetteWithMissJanice.blogspot.com and you may also read my blog at MissJanice.com.